I blogged earlier on this subject and would like to continue the thought. 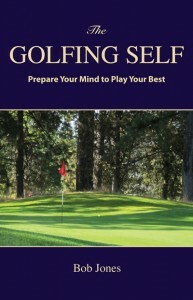 The basic idea is that your learning curve flattens out when you play courses on which shooting your handicap or below has become an expectation. To get better, you need a new challenge. Find a course that takes about six to seven more strokes to get around than what you’re used to scoring on your home course, which I assume you play well on. Go play that course straight up. Confront the hazards. Hit the forced carries. Hit driver to restricted landing areas. 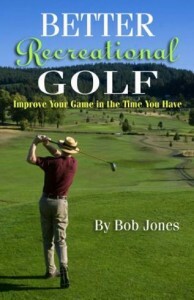 Play the shots the architect makes someone play to shoot a good score. What’s going to happen is that you will get eaten alive for a while. It won’t be fun, you’ll shoot high scores, you’ll lose lots of balls. But take your lumps. Keep hitting the shots that need to be hit until you can hit them without worry and with good result. Consider this to be tuition in golf school. Play that course over and over until you have a solution to every problem it gives you. You’ll learn to be unconcerned by shots you once feared. You’ll learn to hit shots with precision. If you have to hit it right there, you’ll learn how to and be confident when you have to. You’ll learn how to play a course using the shots you want to hit, rather than the shots the architect wants to scare you into hitting. 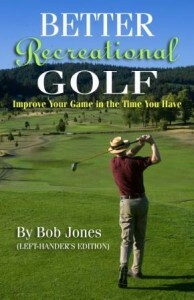 Of course you improve by spending time at the range learning to hit shots and taking lessons. But you don’t become a player unless you play, unless you challenge yourself to hit those shots you spent so much time working on, and put trust in your skills. That’s how you learn to shoot lower scores. See also How Solid is Your Handicap?